I don’t know if Bank of England governor Mark Carney is a Monevator reader (perhaps he’s the guy signed up as FoolsGold65) but whether or not he read my Brexit articles he seems to have reached a similar conclusion to me. Some said I was a doom-monger when I suggested it was prudent to prepare for a probable recession in the face of the decision to leave the EU. But for his part Mark Carney hasn’t yet had enough of experts, which is just as well because he actually is one. And he and his expert monetary policy committee have looked at deteriorating data such as the fastest drop on record in the PMI survey numbers, and they’ve seen enough. They’ve just announced the biggest cut to the BOE’s economic growth forecasts since it began making projections in 1993. True, the BOE doesn’t quite see a recession – but it does see likely GDP growth in 2017 of 0.8% as opposed to the 2.3% it forecast as recently as May. The darker the green line, the more confident the forecast. 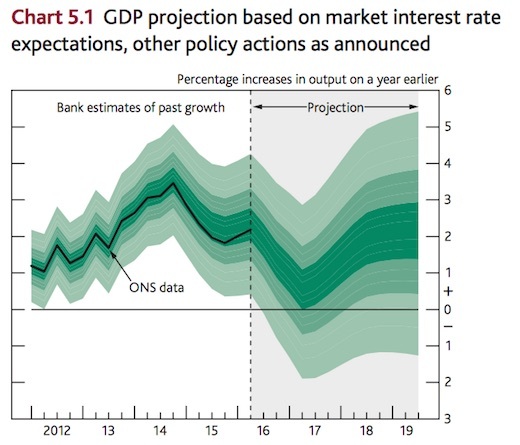 Of course one reason the BOE thinks we might escape a recession – as indicated by the dark green line in this graph skirting above the 0% level – is because it has just implemented a bunch of measures to try to ward one off. Cut Bank Rate to 0.25%. Created a so-called Term Funding Scheme to try to ensure banks pass the cut through to customers. Announced a new move to buy up to £10 billion of corporate bonds issued by companies the Bank believes most directly impact the UK economy. Expanded the asset purchase scheme for UK government bonds (i.e. QE) by £60 billion, to take the total stock to £435 billion. These moves are no panacea. The Bank still projects unemployment will rise over the next 12 months, for example, and that GDP growth will plummet. And personally, given the uncertainty – as well as the probable subliminal pressure on BOE forecasters not to assume a worst case scenario, which the BOE said in its press conference it had avoided – I would not be surprised if things turn out even worse than that. But time will tell, and I certainly hope we do better. What’s most striking for our purposes today though is the outlook for savers. As most of you will know, the biggest visible impact of Brexit so far has been the fall in the pound versus other major currencies. The pound had fallen by about 9% since the EU Referendum when Carney began making his announcements. It dropped another 1.5% afterwards. For globally diversified UK investors, this six-week slide in Sterling has helped cushion any impact of the Brexit decision on our finances to-date. In fact, as you will have noticed if you’ve peaked at your portfolio in the post-Brexit kerfuffle, most assets are up for UK investors. Our Slow & Steady Passive Portfolio has bounded ahead, for instance. One reason assets are up is because equities and bonds alike have risen as investors have correctly anticipated lower-for-longer interest rates will follow the shock of Brexit. But our portfolios are also higher because our overseas holdings have risen in value as the pound has fallen, lifting their value in pound terms. Note: We haven’t magicked real money out of nowhere like this. The pound is down around 10% – and so we are actually 10% poorer than the Trumps, the Merkels, the Hollandes, and the Paul Hogans in the country next door as a consequence of Brexit. That may or may not be a price worth paying, depending on your own views – but it IS a real price that we’ve paid. Now cash savers are set to pay an even higher price. We may not yet be in negative rates territory in terms of the official Bank Rate, what with it hanging on to 0.25% like a cinematic damsel in distress clinging on by her fingertips to a cliff edge. But in real terms (that is inflation-adjusted) we’re headed down, down, down. Interest rates on cash savings are already very low. The best one-year interest rate I can find right now comes from IKEA-owned1 Ikano Bank, which pays a pitiful 1.6%. That’s puny, but CPI inflation is depressed at the moment also. It was just 0.5% in June, according to the Office for National Statistics ( ONS). Why exactly inflation has been running so low – well below the BOE’s 2% target – is a subject for another long day. But the relevant point here is that with CPI inflation at, say, 0.5%, even a wretched 1.6% savings bond is delivering a better-than 1% real return. Hence it is slowly making you wealthier. However two things are now likely to happen. Firstly, it’s likely savings rates of even 1.6% will soon be gone, because the Bank Rate cut will pull down yields across the money markets. Soon you may only get say 1.5% or lower for locking your money away for a year. The other thing that will likely happen is CPI inflation will rise. The weak pound that has so far been such a salvation for our perceived wealth will push up the cost of imports, and hence the prices we pay in the shops. The BOE said as much today, and conceded its latest measures will make things worse. It sees too-high inflation as – probably rightly – the lesser of two evils. The other option would be to take no action, and allow GDP growth to fall further than otherwise, for unemployment to head higher, and for us to perhaps be left with an even more precarious economic outlook in a year or two. Whether or not you think such ‘economic cleansing’ would be valuable, it’s not in the BOE’s remit. So CPI inflation is likely going up. A lot. The darker the red line, the more likely the projected figure. 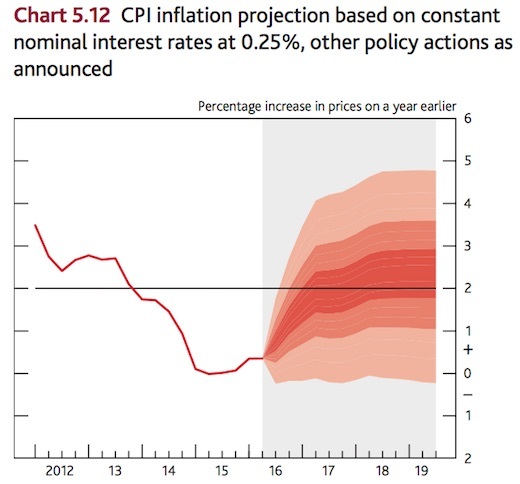 The BOE now projects that under the new 0.25% Bank Rate regime, CPI inflation will probably be running at 2% by early 2017, and that it could well be approaching 3%. In terms of the BOE’s official mandate, 3% or more is no worse than inflation at or below 1% – but it does present a bigger headache for everyday savers. Let’s assume – optimistically perhaps – that you can still get 1.5% on your locked-away cash in such a climate. At 2% CPI inflation, a 1.5% interest rate is not good enough to deliver a real return. 1.5% minus 2% = minus 0.5%. 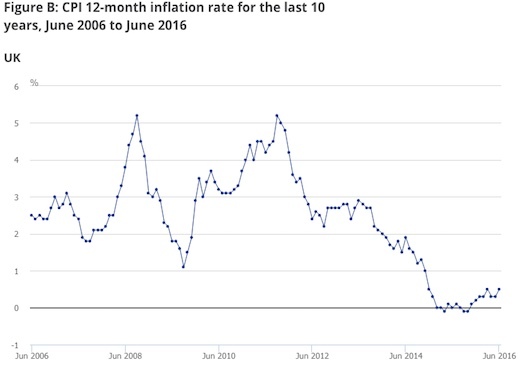 And obviously if we were to see CPI inflation at 3% you’d be losing even more money in real terms. I don’t believe the BOE mandarins are high five-ing each other at the prospect of pensioners getting poorer via a negative return on their cash savings. True, the bank warned this kind of thing was likely if we voted to Brexit. And the pensioners voted for it anyway. Which is fair enough – there’s more to life and the EU decision than money – but I will be pretty pee-d off when the inevitable sob story articles start to appear featuring income-starved Brexit-voting OAPs. But while punishing savers isn’t the direct goal, making cash less desirable to hold in general is very much part of the rationale for the sort of QE operations the BOE extended today. 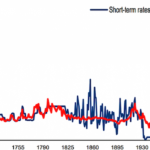 As a result of the likely move into negative real returns on cash, more cash savers will move into UK government bonds (gilts), more gilt owners will swap them for corporate bonds, some more will move into equities, and a sliver of risk-takers will use cheaper financing to start businesses or take out loans to build property. And hopefully all that will help blunt the worst economic impacts of the decision to Brexit, by bolstering economic growth. But make no mistake – by moving more of us out of super-safe cash and gilts and into riskier assets like peer-to-peer savings, corporate and retail bonds and equities, the stakes are being raised for everyone. Not so fast Mr. Monevator! Most savvy pensioners with cash savings will open up a Santander 1-2-3 account and be getting 3%+ on their savings, up to £20k (or £40k if they open a joint account as well). This is also the answer to Ms. Cooper’s question at the BoE meeting today (Radio 2 listener with £6000 savings: what do I do?). Well, maybe they will just change the bands at which the 1,2 and 3% rates start – otherwise they might have to rename it Santander 1-2! Well pensioners are protected by the triple lock on state pensions and as a collective are long property, so further tax free gains. I think they’ll be fine. @Dave C; Whilst I currently take advantage of Santander’s 3%, with the aforementioned planned cut to 2%, less the £5 per month fee, on a full £20k balance I’d be getting only 1.7%. For someone holding only £10k, that drops to 1.4%. Doesn’t sound so great now, particularly with the threat of increased inflation. As someone who’s building a diversified long term portfolio I don’t care all that much about negative returns on cash. After all, the emergency fund is there to pay the mortgage, y’know, in case, and as far as the mortgage goes, the principal is fixed and denominated in pounds, and the interest depends on the yield curve, which is going down. I don’t even care about what the rate cut + additional QE will do to the UK equity market; my allocation is only 20% to dom. equities and a little over 10% to UK bonds overall. The real price that I’ve paid for the stupidity of the 52% is the devaluation of my future earnings, which are sadly denominated in pounds. As far as my future purchases of the global equity & property trackers go, I’ve taken a 10% paycut. Having thought long and hard about it, the only way I can fight this thing is by saving as much on tax as I can. Max out pension salary sacrifice and SIPP contributions at the expense of ISA contributions and mortgage overpayments. This will delay the earliest date I could FI, since I can’t get to my pension before I’m 58. But the way things are looking, the earliest date I could FI got pushed out on the 23rd of June, and there was FA I could do about it. Much like BoE, I’m all about damage control nowadays. I can’t really that the measures delivered today will really add much to aggregate demand in the UK. The BoE is trying but monetary policy and forms of QE/ credit easing are blunt tools for offsetting Brexit. Carney has been hinting pretty strongly that he thinks it’s time for fiscal stimulus to take over. On the positive side though, today delivered another 3% return on my Vanguard Long-dated Gilt tracker (VUKLDGA) to take it to almost 30% YTD. Since I replaced my FTSE trackers with this in Jan 11, it’s generated a 99% total return, trouncing the stock market. I never would have thought it possible, especially since bonds have been ‘so expensive’ each and every year since then. It’s incredibly hard not to take profit when you see 30-year gilts at 1.48% … I might just sell a bit, justify it as rebalancing! This goal is being accomplished… wait for money moving into UK stocks and raising market… This makes sense from preserving capital from inflation – stock market is the only (except gold) real way to fight coming inflation. @zxspectrum48k: That’s remarkable, and I remember thinking gilts looked expensive even then. We are reaching a point though where to take such long term bets on no inflation seems very dangerous to me, I simply don’t buy the deflation story long term. On the positive side though, today delivered another 3% return on my Vanguard Long-dated Gilt tracker (VUKLDGA) to take it to almost 30% YTD. Since I replaced my FTSE trackers with this in Jan 11, it’s generated a 99% total return, trouncing the stock market. I never would have thought it possible, especially since bonds have been ‘so expensive’ each and every year since then. Of course, Internet critics in the comments very (very (very))) rarely stick around and volunteer be accountable for their strident complaints. That’s not to say I thought long-dated bonds would *probably* deliver anything but mediocre to potentially even negative returns in the foreseeable back in 2011, either. (I deleted most of the nasty stuff about bonds and Government conspiracy theories and what not over the years, but here’s a nicely civil thread on the subject from four+ years ago. I don’t raise this particular discussion to embarrass anyone on it — goodness knows I’ve made some bad calls myself over the years. But it’s a reminder to stay humble, especially if you’re trying to make active calls). As a remainer I obviously see what’s happening very sadly. Particularly for my young kids. However part of me also thinks if you’re brainwashed into leaving the EU is catastrophic the businesses will be keeping their powder dry in a wait and see mode. I really don’t know how much of the purchase and service index deals with say the last 3 weeks opposed to the first 3, but I for one don’t feel in my day to day living things are as catastrophic as were advertised. Whilst I will concede the referendum was an act of self harm on the country and ourselves – no Brexiteer can state otherwise as the pro leave camp didn’t have a plan on what to do, just sound bites, which appears to be adopted by the Trump clan too – I will say if the referendum brainwashing was proactive to leave then things wouldn’t be as bad. Yes exchange rates would be the same but business investment et al would carry through. And on the pension front, the 59 plus demographic threw us out, well 30 year gilts at 1.5% means time to read up on drawdown opposed to annuities! TI I think your readership might go up and we’ll become a shrewd e investing nation whilst annuities become an obsolete word. Well, I don’t think we really want to start the pros/cons Brexit debate again. I was always going to mention it in my post because this is part of the fall-out. But we probably don’t want to go around the houses again. So just to reiterate what I said in the immediate aftermath, the economic impact won’t be catastrophic and we won’t be eating of bins in 10 years time. Life will go on. We will just likely be poorer than we would have been, forever. But it won’t be obviously poor. It will be like France has become relatively poorer than the UK over the past 30-odd years. But France and the UK are still in almost all ways comparable economies and countries and so forth. Leavers who are realistic about the short-term potentially recessionary hit and the long-term economic consequences presumably see the cost as worth paying, which is fair enough. Vastly more were in denial about the costs, and I fully expect more comments along the lines of “it is bad now because people say it is bad”. No, it’s bad because the country voted for Brexit. If they hadn’t, we’d be looking at growth well above 2% instead of the strong risk of a recession. People have a very hard time understanding economic growth. GDP expansion only runs at 2-3% a year in the good times. You don’t have to have catastrophe to knock that of course, you just have to have a lot of small/large decisions that together knock-off enough activity to stop 100 becoming 103. Catastrophe would be 100 becoming 60 or 70, if you see what I mean. That’s Great Depression in the US levels of economic retrenchment. I don’t see that ahead from Brexit, and never have. p.s. 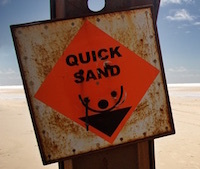 I agree with you that there’s almost certainly a “shock” factor in the initial PMIs, and as I said a couple of weeks back the installment of the May government — as opposed to some Loony Tune Brexiteer coup — was a definite confident booster. So hopefully we’re not sailing off a cliff, which is what a lot of these forward indicators imply is happening. The Bank of England in the press conference today said if they took the leading indicators at face value, they’re be projecting an outright recession. But they have seen the “shock factor” overdo things before, so they have dialed back from that. i.e. Their gloomy but not recessionary growth plunge takes into account the possibility of excessive shock, and tries to back it out. I do dislike the view that cash can still give decent returns because a Spanish bank is choosing to buy its way into the current account market with a gimmick. Cycling money through current accounts like Prof Branestawm did with his library book, or picking challenger banks who are buying market share isn’t the issue. If you can’t protect your cash from inflation before tax, that is bad news. I’ve moved my cash to p2p, much better returns, but I’d not be surprised if the bad debt wipes it out in a recession. I’d rather let it plod along with Nationwide like I used to for 30 years. Australian dollar a few years ago was buying US$1.12, right now it’s buying about US0.76, that’s a drop of almost a third, and yet no-one is feeling poorer here… That’s because we earn in AU$ and buy in AU$. Inflation has not risen, it’s actually stubbornly low at around 1-1.5%. So I wouldn’t get too upset about the pound dropping by a measly 10%, or be expecting massive inflation. It’s actually a good thing because your exports now earn you more money, although imports become dearer also. The ability of the pound to move based on the economic situation of Britain is one of the advantages of not being in the Eurozone. Since the awful 1930s, governments/central bankers have strived their utmost to avoid deflation and the accompanying recessions, armed with Keynesian tools. Prior to those times, recessions/deflation were all part of natural economic/business cycles. If the UK avoids deflation for the moment; one cannot assume 100%, that global recession/deflation is ultimately avoided. In this context the latest moves by BofE might prove to be a narrow sample set against global trends. More immediately on the portfolio rebalancing level; have been hunting, generally in vain, for significant asset price reactions to the BofE measures. One exception aside from Gilts, that others may also have noticed, is the surge in price of Infrastructure ITs, presumably in a renewed and ever desperate search for yield? We continue to part top-slice for “This too shall pass”? @magneto — I’d agree that if we’re going to have an inflation spike, now might not be the worst time for it. I wish I could say the same about the economy, though. 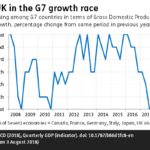 It’s true that what stops me thinking the UK will have a really bad recession is the global picture is quite positive, and European is (was) improving recently. I think it’ll be hard for Brexit to entirely overwhelm that. Still the global economy isn’t exactly going gangbusters, so there I’d say the timing is at best so-so. @Adam — Interesting statistics and counter-view, but it’s worth remembering the Australian economy was red hot a few years ago. We were even hearing stories here about unskilled labourers going off into the outback to some mine and making six-figures. In contrast the UK economy has been in austerity mode. I think the average person in the street will feel even modestly higher inflation unless accompanied by higher wages, and that seems unlikely if we’re slowing down. @TI – this article ( http://www.thisismoney.co.uk/money/comment/article-3722070/Cutting-rates-0-5-sign-abject-failure.html ) makes a really good point that all the extraordinary measures taken from the 2008 crash to revive the economy must have failed if rates are being cut again instead of normalising. Now whilst I accept that Carney is being palmed off with a lot of the responsibility of kick-starting the economy that should be the jobs of others, I don’t see how going for more of every policy that’s failed so far will get a different result. Practically, we can read the tea leaves on what this means, ironically, in a general sense this might be an exceptional occasion where you can waive the ‘past performance’ disclaimer. More QE will surely just pump up share & property prices again for example, helping to keep those bubbles straining taut against reality. Dude, I would really appreciate it if you would lead on a mission like this, it should be worth at least an article, perhaps a solution could be to splice together the separate functions to achieve the desired total end result. So for example, move your cash into a foreign currency account in a credible challenger financial institution that is also based in the UK, combined with using a similarly credible forex disruptor service like Transferwise to convert the cash as needed? @Adam: The Aussie dollar spent a couple of years around 1.05 to the US dollar half a decade ago (a week or two at 1.12 is hardly the basis for a robust position on currency values). It was worth less vs the dollar than it is now a decade ago, and isn’t far at all from the long term average. In short: Even if you could actually tell that currency fluctuation was having no impact, no one looking at the numbers would expect Aussies to feel worse off now. Now compare those numbers to the GBP vs USD figures. The pound has been on a long term slide against the dollar since my parents were being born; even then, it has remained above 1.5 to USD for the vast vast majority of the last 40 years. We’re now near 1.3 and the BOE is happy to devalue it further in order to try and soften the economic impact of the referendum result. @FI Warrior: I think that’s entirely the wrong way of looking at it. Blaming the BoE for the fact that we aren’t seeing rates normalizing is ignoring that they have very limited influence on overall economic policy. We’re going through an extended period of austerity and wage stagnation, the bank can’t magic that away and create inflation by fiddling with a couple of dials. You might as well blame someone’s doctor for the medication they prescribe not helping someone who is obese lose weight if the patient keeps going out for 5 all you can eat meals a week. Note what I wrote:- ‘I accept that Carney is being palmed off with a lot of the responsibility of kick-starting the economy that should be the jobs of others’ So I don’t get which part of this is blaming the BoE, in plain English, it suggests they were set up to take the fall. At the risk of hammering my point home, he was hired to take the blame from (mostly) politicians who dodged re-balancing the economy away from long time corrosive flaws, I obviously wasn’t clear enough for everyone in making that point. I fully understand the BoE can’t do magic to solve every problem in the world, but I wasn’t saying that at all. I was one of those on the thread saying that gilts scared me and that I was going for corporate bonds and infrastructure instead. I did soften my position a little but still only went for 10% bonds with a 60/40 split between corporate (SLXX) and gilts (VGOV). I just checked returns and my 15% infrastructure (HICL, BBGI, JLIF, INFR) and property (IUKP, LMP, TRY) was in retrospect a good move as it’s trounced not only the bonds but also world equity (VWRD). And gilts still scare me particularly with all durations being on sub 1.5% yields, but what do I know? It’s probably a good time for me to simplify various portfolios, go even more passive, and get stricter with myself regards rebalancing. @gadgetmind — Cheers for following up. As you may have seen on the thread, while I was urging people to caution their certainty about gilts being doomed on that thread, I added that for my part I held none. I’ve done very nicely over the past few years — better than I could have hoped or expect to continue — but it would have been a far smoother safer ride with a big slug of gilts. So on risk adjusted basis I can’t say I was right to avoid them. Very hard to believe I’ll regret this but then I thought that in 2011! 🙂 I’m also ultra active, so long term asset allocators like most here and TA are playing a different game to me. In that world I’d definitely own some gilts. We’ve also done better than we dreamed was possible. Since 2011, we have tripled the amount we have in pensions+ISAs+unwrapped, but this was partly due to new money, partly due to some lucky tech investments, and partly down to the bull markets. I actually got a chuckle on going back to these old (usually hidden) worksheets and seeing things in there like separate Protected Rights pots, GAD charts for drawdown, and interest rates on cash at 4%! “Own your decision, Brexiteers!” Hear, hear! Everyone except the beggar in the street was a billionaire in pre-Euro Italy, ever wonder why they were so keen to join the Euro? Yes, I’ve made the point about sterling being flattering myself a few times lately but mostly in the context of its post-Brexit plunge. I have little in fixed interest, so sterling doesn’t trouble me too much, but it does mean that LTA could be an issue. But Brexit definitely made the decision for us on our four NS&I linkers and all have been rolled over. @Neverland — While you’re pointing out to me and @gadgetmind the errors of our ways, you might want to pop over to that thread for a reminder of your own lack of omnipotence. 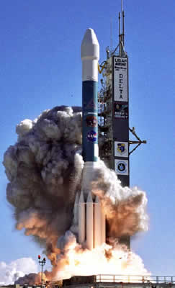 (I could cite others, such as you urging everyone to get out of developed markets and load up on EM in 2012 or thereabouts, and so on, but we’ve been over that ground before). In your many years of telling me what I’ve got wrong or misunderstood or whatnot on every other post on Monevator, I can’t recall you *ever* admitting to a mistake yourself. And yes, I do think about net worth in currency terms. As so often with your gripes, it’s explicitly mentioned in the article. This rate cut is nothing to do with Brexit – it’s just an excuse for the BoE to cut rates and print more money – it’s all about supporting our bankrupt banks. The cut in rates will do nothing increase economic growth and any future cuts in rates will do nothing to increase economic growth. This will just increase the banks profits, extending their life support. The EU and Japan have printed more money than the UK and have negative rates yet I don’t see their economies flying high. They’re proof this policy doesn’t work, it just hurts the workers and savers. All central banks have been in panic mode since the last ‘great recession’ and are showing no signs of getting out of it. They’re all trying to devalue their currencies and import inflation. Every central bank wants inflation hence the competitive devaluations we’re seeing between countries. For us as investors they key is what to do. Personally I think buying stocks and other assets (although I would avoid London property right now) is the only answer. The BoE will stop at nothing to prevent deflation, which means they will continue to inflate asset prices for as long as they can. p.s. – I don’t think I’ve seen a forcaset from the BoE that’s even close to accurate for many years, therefore I don’t pay any attention to them any more. Dude, I would really appreciate it if you would lead on a mission like this, it should be worth at least an article, perhaps a solution could be to splice together the separate functions to achieve the desired total end result. I’ve contemplated doing some sort of article like this, as I am in all sorts of what I call ‘pseudo-cash’ investments instead of, for the most part, pure cash, though I do have a slug of that too. Even then it’s in 1-2-3 etc. The trouble is once you get outside of FCA regulated cash, you introduce risk. Even if I write several hundreds words or more about the risks of say P2P, say, in an article about P2P — which I did last time and which is way more than you’ll see in most P2P articles — I still get pushback in the comments, and even found myself being slagged off for writing about it on another site the other day. And to an extent, I see where that’s coming from. Anything that isn’t UK-denominated on-shore sterling cash in a vanilla savings account in an FCA protected institution up to the compensation scheme limit is not really cash as we have discussed it for the past decades (to the point about Nationwide above). Also, it’s a near-certainty that at least one element of these cash alternatives are going to go wrong. For instance, a few mini-bonds have gone kaput, though happily none I own, and at least a couple of ORB retail bonds are trading well below par. I’m pretty confident in the P2Ps I have focused my money on, but their failure — especially of failing to deliver all the return promised, but also although less likely (but possible) of getting all your capital back — cannot be ruled out. And I’d happily bet we’ll see other smaller P2P firms fall by the wayside. Back in the old days I could write about all this exciting stuff (e.g. bank preference shares or unusual rate-linked securities) safe in the knowledge that the audience was small, and usually enthusiastic dabblers like me. But now the site is huge, and has all sorts reading it, mostly of a passive mindset yet in many cases not really (IMHO) fully understanding why or everything about risk. I’d dispute that the Brexit is cause for the negative real returns on cash, its responsible for the last cut but as I’m sure you know the lowering of interest rates in the world since the financial crisis is symptomatic of a larger problem…..the fact that the world cannot cope with interest rates above zero goes to show how bad our economies are…Brexit impact on UK rates just a very, very thin layer of icing on the cake. @TI, I completely get that you’re fed up of getting hassle for actually trying to help people out in the first place, that’s just outrageous. It’s massively frustrating for those of us who hugely value your site as a valuable educational tool. It’s sad that you have to feel restrained by people who can’t accept with anything cutting edge, when you always clearly state the caveats and the bland stuff they can only cope with is in the mainstream publications anyway. I can’t blame you for feeling human and not wanting the aggravation, but we’re the poorer for it because I can only speak for myself, but one thing I relish about your site is hearing new things. Most important in this respect is those early adopters sharing their actual real-world results to help the uninitiated. This is priceless knowledge, putting your money where your mouth is and saves all of us time as well as getting burned, that’s what makes the site great. Please don’t stop being adventurous due to those who can’t cope with innovation, if they can’t be adult about what you read on a free-to-view site, they are wrong and the rest shouldn’t suffer for it. Whatever you decide ultimately, I’m sure many will anyway appreciate what you do here and still have enough courtesy as well as ability to handle the facts. @the investors “I was always going to mention it in my post because this is part of the fall-out. ” not so fast, carney / Osborn et al all threatened us with rising interest rates and higher mortgage payments if brexit occurred. Looks like the “experts” were either wrong or lying? Ah, like angelic guardians of the righteous truth, the rapier-minded Logicians of Brexit swoop down to explain to us how voting Brexit wasn’t why all the forward indicators have fallen off a cliff since, exactly, the day after voting-for-Brexit day. @FI Warrior — Thanks for the kind words. I’ll have a ponder. @TI I’m with @FIWarrior on this. Please don’t stop being adventurous. I know putting your views out there makes you a target. I’m sure you’ve got elephant hide now (metaphorically speaking!). One of the attractions to this site is the time you take to balance and second source your articles us if and when things go awry or plain wrong you own up admirably. You’re doing a great job! I find it interesting that P2P could be ever seen as a replacement for a cash savings account. The platforms clearly sell it that way. Nevertheless, personally I put my P2P portfolio in the fixed income bucket and not in the cash or cash+ bucket. As portfolios of credit risky consumer loans, SME loans, bridge/development property loans etc and seem much more comparable to high yield bonds, secured loan funds, car/credit-card/student ABS portfolios etc. In that sense I don’t see them as anymore risky than equivalent fixed income credit products, though with the pros/cons of being on accrual rather than MTM. The platform risk is another matter and I would have to agree that the survival rate of the smaller platforms may well be rather poor. It would be what differentiates your site to make it better than its peers; (I suspect everyone is blanding down to an extent for the same reason) you already have this to an extent, but as you say, you can feel restrained. It’s your site, so you should do what interests you, that’s the key to happiness after all and I bet for anyone you lose, you at least gain one. Another thing I like about this site is that I can trust the info as you’re not selling anything, that’s almost impossible to do these days, so it’s precious. Look at MMM’s site commentary, he gets a lot sharper criticism and simply ignores it, he happily makes clear that when he doesn’t answer, it’s because he values his time too highly to talk to ignorants. (And it really doesn’t affect his numbers, so you shouldn’t worry) You’re a reader and commenter too on other sites, so you know when you read a sh*ty comment against the host, most people ignore them; it’s no bad reflection on the host. Remember, whatever you say or do in this world, no matter how innocuous, there will be some headcase who will boil with anger at it until they’re frothing at the mouth. (In your shoes, I’d be relieved to filter out the site’s peanut gallery, it raises the quality of the forum) So you can’t change the existence of ignorance, but you can accept it’s not your fault and ignore it; being anonymous is a great help in that respect, by keeping it impersonal. @Marked @FIW — Thanks for the further thoughts. To clarify, it’s not just that I am concerned about the negative feedback — I genuinely don’t want people going into products / strategies they don’t understand or shouldn’t be in. People may think they are sufficiently financially sophisticated, but there’s often a negative correlation between believing that and reality. (You wouldn’t believe some of the queries I get on some posts and via emails. I used to wonder how any Nigerian conman got anyone to transfer them £100,000. Not anymore). So anyway, that’s part of the issue, too. Excessively filling the articles with caveats and warnings makes for a very dull read, but seems to me to perhaps not even go far enough. Then there’s the fact that I can’t seem to leave incorrect statements in the comments lie without a clarification and so on. (People say “let people decide for themselves” but it seems counter-productive, say, to set up a website to try to get people to understand issues like diversification, only for someone rant on about selling everything and buying gold in the comments). So it all begets more back and forth. This is all part of the reason why I’ve pondered putting all my active share investing stuff (which I haven’t really talked about in much detail for years) behind some sort of modest paywall / membership area, incidentally. Partly so all the follow-up and so forth actually might pay for itself, but also because the traffic numbers are much lower and you have a chance of guiding people better through the stages, rather than everyday waking up to a new bunch of people who have never read anything else on the site. @TI: in these very low rate times (with tax relief becoming ever more important) I’d welcome a more in depth look at the more complicated schemes like VCTs, Enterprises etc (if this has been covered in detail then I apologise I am a fairly new reader.) in particular how these schemes could fit into a ‘fairly passive’ or low risk portfolio. Ultimately if the scheme only returns its initial investment after 5y, that is worth 12% annualised to additional rate tax payers. Regarding economic forecasts post Brexit, who knows? Economists have been way too optimistic for years, it wouldn’t surprise me if now they’ve all turned bullish gilts to prepare for deflation that we get a huge sell off. And if buying 30y gilts at 1.5% looks attractive, surely buying property at 4-5% yield is a LOT more attractive. The Investor wrote – But it won’t be obviously poor. It will be like France has become relatively poorer than the UK over the past 30-odd years. But France and the UK are still in almost all ways comparable economies and countries and so forth. Also, just wanted to say I love the site and would be happy to pay for the more adventurous content. I am really hoping that UK will not actually go through with Brexit.. Yes they might have voted for it but hopefully they change their minds within the time frame allowed to leave the EU. Fascinating times indeed. I don’t mind. I took profit on another 8% of my portfolio today as the US reaches new record highs and up over 7% this year. VERY happy to accumulate cash and just sit on it for the next several years. We are 7.5 years into a bull market. Very satisfied with my gains and don’t want to get greedy as an early retiree. 4% per year growth is all I want or need. Previous post: Is it really worth trading in your index fund for a cheaper model?